Can one diet really fit all? Metabolic Typing enables people to customise and tailor a diet to their personal metabolism, biochemistry and particular health condition. Either way the principle is the same. Your genetic structure, your blood type and your individual biochemistry; means that each of us thrives on certain foods whilst others cause problems. Bill Wolcott is a founder of Healthexcel, a company that specialises in metabolic typing. Bill was a former assistant to William Kelley DDS and claims to have worked with over 60,000 patients, of which about 25,000 were cancer patients. As we continually say in icon (Integrated Cancer and Oncology News) magazine, cancer is as individual as you are. Metabolic typing acknowledges this fact and matches the diet to your individuality. In one respect there is no magic formula here. A good integrative doctor in the UK like Dr. Etienne Callebout or the late Dr. Patrick Kingsley would go to great lengths to analyse you, your metabolism and the possible causes of your disease. If you do not know the cause, how can you really begin treatment? For if smoking ’caused’ your lung cancer and you didn’t quit, surely even with the best treatment in the world you would expect the cancer to return. When it comes to diet, could one size ever fit all? Bill Wolcott belongs to the ’one size doesn’t fit all’ school of diet therapy. He believes we each have a unique metabolism and so became interested in Kelley’s work but not as someone with a cancer to cure. Wolcott became interested in eating the foods that were best suited to his personal biochemistry. He simply wanted to be really fit and healthy and recognised that some people thrive on high protein diets whilst others thrive on carbohydrate. Kelley has based his early work on the equilibrium of the autonomic nervous system, which is divided into two halves: the sympathetic side basically speeds you up, while the parasympathetic side shows you down. Just as eating the right foods might positively affect one half, or balance the two, so the perfect diet would help to detoxify the organs. For the nervous system is connected to the body’s organs and tissues and balance in the nervous system will allow correct supply of nutrients and the removal of toxins - and vice versa. It is interesting to note that control 8 is the basis for D’Adamo’s theories, and that control 9 fits in with the whole principle of Ayurveda and the three Dosha’s (vata, pitta and kapha). So how should you plan your ideal cancer busting diet? If you agree that your breast cancer is not the same as the lady’s next door, you can go to the Internet, where at www.healthexcel.com you can obtain instructions and a questionnaire to set about determining your metabolic type. With Kelley and Wolcott’s theories ’You are what you eat’ now takes second place to the old maxim, ’One man’s meat is another man’s poison’. There now seem to be plenty of customised or tailored Metabolic Typing systems available on the Internet. The question for readers is simple: While there’s no doubting the theory, is the delivery in practice correct? A few years ago, Harvard Medical School conducted a large scale test with women, between the ages of 50 and 70 across the globe. And what did they find? Those women who most closely adhered to the Colourful Mediterranean Diet (what we, at CANCERactive, lovingly call The Rainbow Diet) at the end of the 15 years of research, were ALL free of 11 chronic illnesses and were 40% more likely to reach the age of 70. Maybe Metabolic Typing is a great theory. 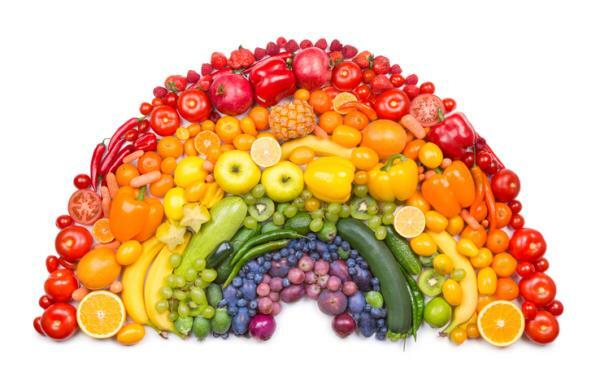 Or maybe the Rainbow Diet is simply a great (and flexible) Diet. Maybe one great diet can fit all, after all.